A clear brand strategy will ensure you achieve a sustainable competitive advantage and help leverage the true brand value in your business, product or service. Quite simply, it will provide clarity about your brand position in the market place. 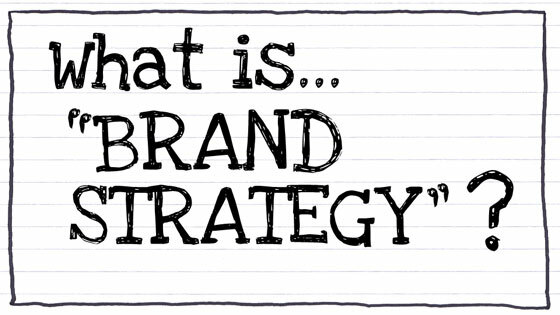 A clearly defined brand strategy will detail short and long term goals that can be delivered realistically in line your brand’s core characteristics. It sets out the rules on how, what, where, when and to whom you communicate your brand messages. To build a strong brand strategy your branding will need to identity the values that clearly differentiate your offer from competitors and aim to build an emotional connection with your key audiences. 1. Business objectives – align your brand with your existing business strategy which should outline the short, medium and long term business objectives – establish a clear vison how your business will develop and ensure your brand will help you achieve this over time. 2. Target customers – research and focus on clearly defined target audiences, anticipate and meet their service and emotional needs, the more precise and personalised the targets, the faster you will achieve higher growth and profit. 3. Purpose – early on clearly define the brand values and promises so stakeholders understand what they are and know how to deliver them; consider the functional purpose (the commercial reason) and the intentional purpose (the value beyond a commercial gain). 4. Positioning – unravel what are the key differentiators between your brand and competitors in the market; how are you different and why would your target audience choose and remain loyal to your brand – define a positioning statement and deliver on that promise. 5. Cohesive messaging – create a strategy that reflects and translates your brand positioning and personality, assume a consistent core message and refine personalised messaging for specific target audiences making it relevant to their precise needs. 6. Brand toolkit – develop tangible online and offline tools to communicate the brand, these can include the logo, strapline, website, videos etc. to support your brand positioning; a style guide will help harness this visual identity and tone voice. 7. Content – this is really about your brand story, create valuable content that will increase visibility, raise awareness and strengthen your reputation, the website can be the most important channel for valuable content and fresh consistent messaging; online content is critical to an evolving, current brand strategy. 8. Brand ambassadors – reward the loyalty of your brand ambassadors, thank them in social media feeds, feature them in blog content, even consider sending them a personalised gift, this can help reinforce those extra special relationships and show recognition of your commitment to fulfilling their ongoing needs. 9. Implement and monitor – continue to monitor the brand strategy in line with the planned objectives and tactics, track your strategy in line with competitor activity so you can adjust to sustain that critical emotional connection with stakeholders, in essence stay in tune with ‘how people feel’ about your brand. 10. Marketing strategy – branding drives marketing so remember to ensure your overarching marketing strategy is consistently aligned to the brand strategy; this will maximize your competitive edge by maintaining a high brand recognition and deep customer loyalty. And finally, be prepared to address unplanned issues to protect your reputation, have a crisis plan in place so in the worst case scenarios you can maintain that trust and keep your brand promise to your target audiences in difficult times. We hope that you’ve found these tips provide some clarity and will help you execute a successful long term brand strategy. We’re interested in your insights and thoughts on developing a brand strategy, have your say on Twitter or comment below. This entry was posted in Marketing Campaigns, top ten tips, Uncategorized and tagged brand insights, brand toolkit, branding. Bookmark the permalink.